The Blog of Dr. T. Michael W. Halcomb: Ibanez Artcore AS73 / Boss AC-3 / Rocktek "S.O.A.P." Ibanez Artcore AS73 / Boss AC-3 / Rocktek "S.O.A.P." So, with the sale of other (really, really good!!!) music equipment, I thought I'd purchase a new guitar that was easier on my fingers. The Ibanez Artcore AS73, which has recieved great reviews, is just that guitar. I got the Transparent Cherry Red one; as you can see in the photo, it's a good lookin' six string. 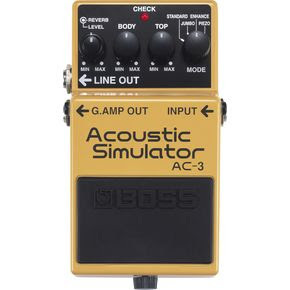 Because I'm a sucker for acoustic, I had to pick up Boss's AC-3, Acoustic Simulator Pedal. I've found that acoustics just kill/shred my fingers and that electrics are so much easier on them. The AC-3 allows me to make my electric sound just like an acoustic (brilliant, I say, brilliant!). I got a nice case out of the deal too. I talked the guy down about $30-40 on the guitar, case and pedal. That's not bad for a chain retail store. 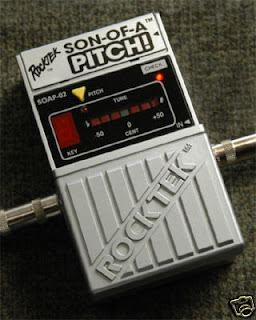 I also purchased the Rocktek "Son of a Pitch" guitar tuner pedal on Ebay. Anyway, I'm excited to play!!! I've missed guitar playing over the last few years.